CPA auditors are hired to make sure that a company's financial statements are presented fairly and according to generally accepted accounting principles (GAAP). Despite getting a clean opinion from its CPA auditors to this effect, a company's financial statements may later be discovered to have been misleading. You may ask: How could this happen? How can a company's financial statements be given a clean bill of health from its auditors and then later be found out to have been incorrect? This doesn't happen very often, but when it does the market value of a company's stock shares may suffer and in extreme cases the company may go into bankruptcy proceedings. Creditors and stockholders usually sue everyone involved—the business, its top management, and the company's CPA auditors. Of course auditors don't like getting sued. Recent years have been very rough on large national CPA firms. They have paid millions of dollars to settle many lawsuits, and they have seen their good names dragged though one story after another in the press. Press coverage has picked up in recent years, it seems to me. Audit failures make good stories, particularly when a CPA firm settles for $400 million. In broad outline there have been two basic types of audit failures—management fraud, which the auditors did not discover; and, bad accounting, which the auditors knew about but approved. In the first situation the company's top-level managers cleverly deceived their auditors; the auditors did not know what was going on. Managers lied to their auditors, counterfeited documents, concealed relevant evidence, and coerced others to keep quiet and not tell the auditors anything. The CPA auditors failed to penetrate the cover-up. Managers can override the internal controls of a business that should prevent or at least detect improper dealings. Collusion among two or more employees, especially among top-level managers who have broad authority, is very difficult to discover by audit procedures. Auditors must plan the audit to diligently search for possible fraud and irregularities. Auditors are required to identify the high-risk areas where a business is most vulnerable to fraudulent schemes, and to carry out searches in these high-risk areas. But there is only so much time available to do an audit. Auditors cannot do an exhaustive search for every conceivable type of fraud. If managers are adept at concealing fraud then the CPA auditors probably will not find it. Auditors offer only "reasonable assurance" that "the financial statements are free of material misstatement." 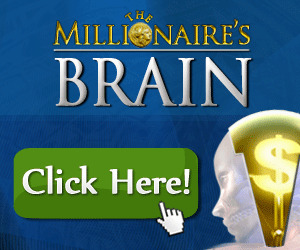 They do not guarantee that there is no possibility of fraud. The second type of audit failure is quite different. In many cases the CPA auditors were fully aware that certain accounting practices used by their client were, shall we say, "questionable." The CPA auditor may have had serious doubts regarding whether an accounting method used by the client was appropriate, but in the end the CPA went along with the client and did not object. Hindsight can make these accounting decisions look stupid, if not downright devious. Many lawsuits have turned on the key issue regarding whether the CPA auditors allowed the business to use unacceptable or inappropriate accounting methods that caused reported profit and other information in the company's financial statements to be misleading. I must admit that in some of these situations it appears that the CPA auditors buckled under client pressure to go along with "creative" accounting methods. Accounting is an art as much as a science, and sometimes CPAs were not very good artists. Auditors can be blamed for audit failures; this is fair enough. But CPA auditors get a bum rap on one other thing. Do not confuse business failures with audit failures. Even well-managed, honest-as-the-day-is-long businesses can have a quick reversal of fortune. A clean audit opinion does not mean that the auditor is vouching for the future profitability and financial health of the business. If the business suffers a drastic decline in sales and hits rough waters ahead, the CPA auditor is no more to blame than, say, Congress. An audit report does not predict the future. In closing, let me say that CPA auditors perform one very important function in the business world, besides the obvious one of expressing opinions on financial statements. The Financial Accounting Standards Board sets about making the authoritative rules for accounting and disclosure for financial reporting. The proof of the pudding is in the eating (i.e., in the actual use of these rules by the millions of businesses throughout the economy). Audits are a very effective enforcement mechanism in this regard. Based on my experience and discussions with CPAs, auditors are very effective watchdogs. They persuade companies to make many improvements in their accounting methods and disclosures that would not be done without pressure from independent auditors. Auditors have made financial reports much better than they would have been otherwise. The level of accounting and disclosure standards in the United States is the best in the world, in no small part due to audits by CPAs. The system is not perfect, but it works very well. 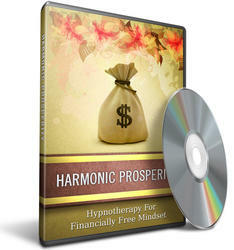 Within this audio series and guide Harmonic Prosperity you will learn Hypnotherapy For Financially Free Mindset Series.